Nothing tells you that you are vacationing in a tropical location like the exotic Bird of Paradise flower. The first time I ever saw one on the island of Kauai I was in awe by it's beauty, and it made me feel so special. 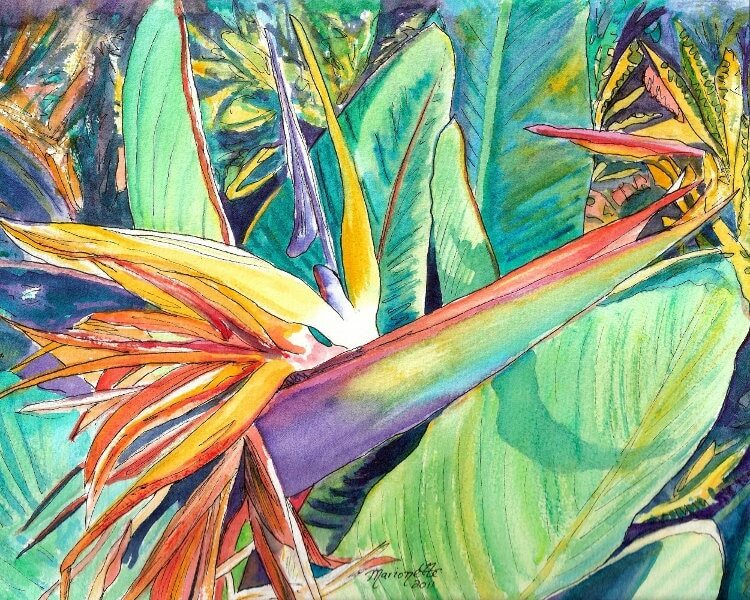 "Bird of Paradise 2" is a giclee print signed by the artist and is printed with archival inks on radiant white watercolor paper. It is a reproduction of an original watercolor painting and comes packed in a clear sleeve with a backing board (unframed). Colors may vary slightly from monitor to monitor.